Here’s a story that will make you laugh, about a dog who I can definitely relate to. A dog in Oklahoma has been ‘named and shamed’ by her owner, after she caught her pooch repeatedly pretending to be a stray so she could beg for food outside the neighborhood McDonald’s. If you ask me, this dog has the right idea! 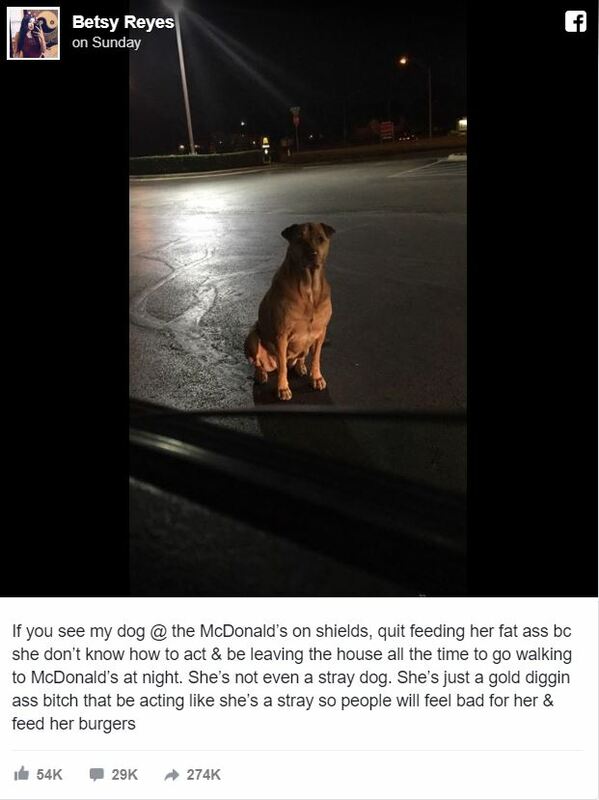 In a Facebook post that has now gone viral, Betsy Reyes shared a photo of her dog Princess, claiming that she sneaks out at night to loiter around the nearby fast-food joint waiting for scraps, CBS News reports. Despite getting fed well at home, Princess can’t avoid hitting up the McDonalds parking lot, on the off-chance that a kind stranger might throw her a chicken nugget or two. To make the story even funnier, Reyes shared a video of her catching Princess in the act. 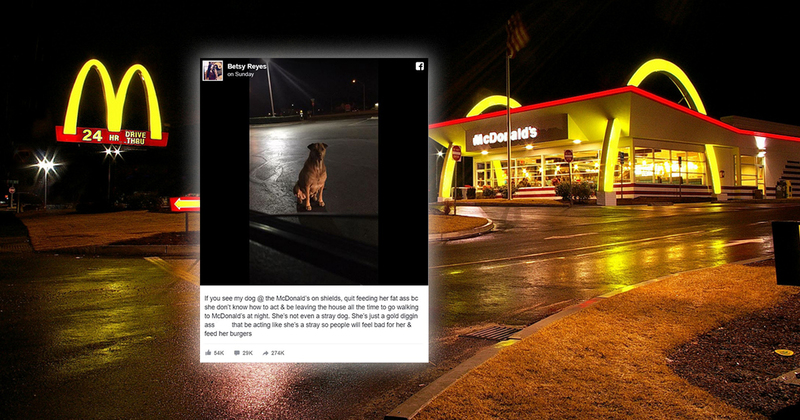 Reyes drove to the parking lot of McDonald’s on a recent evening, where she caught her dog waiting to bed fed by other customers. In one video, a woman in her car appears to throw Princess some food from the window. I think that this story just goes to show that dogs are not stupid, and they will twist the arms of sympathetic humans to get whatever they can! It’s a good job they’re so cute.